Ohhh yes, suggesting a template to your web design client. This one can sometimes get you into a bit of a pickle if it’s not handled correctly. I’ve got a few tips for you on how to best handle this tricky situation so your project starts off on the right foot! When it comes to picking a template, I’m sure you know as a designer, it’s about a LOT more than picking the one with the colors you like or demo content that is similar to the type of business the site is for. Which Squarespace templates have a sidebar, index, parallax, second navigation + more! 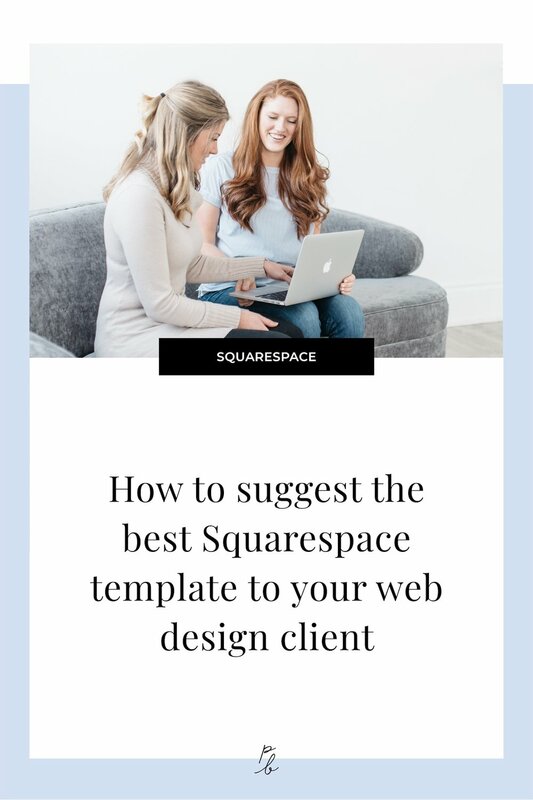 What is the best Squarespace template? Brine. Here's why. The bottom line once you learn all about the Squarespace templates is you pretty much want to choose a template in the Brine family 99.7% of the time. Yes of course, you could custom code any template to do anything you want, but that’s going to first take you way longer to create the site, and second be a lot harder for your client to use, edit and update in the future. If a template has all the features, layout options and functions your client wants, it’s best to put them on that template in the first place to avoid a whole lot of headaches for you both down the line. But how do you get your client to understand that? Here’s how I do things. On my consultation call with clients just before we start their project, I ask them for 3 inspiration websites. We both open up the sites on our computers and I ask them to walk me through specifically what they love, like and dislike in these sites. Yes I pay attention to some style preferences they have about colors, fonts and vibes but what I really want to learn is what are their non-negotiables in terms of layout. Learning this helps me determine what they really want in their site and therefore can formulate my reasoning for why a template in the Brine family is best. I find this honestly doesn’t happen very often, but sometimes your client has looked into the different templates and picked out one. When this happens, it’s important to explain which template is in their best interest and, v important, why! Ultimately your goal is to make the client a site they love, and picking the right template is going to go a long way in making that as easy as possible. Be sure to open up the template comparison chart during your call so you can start to explain what’s possible with the template they picked. While you don’t need to explain why a certain template won’t work, you only job then is to explain why the template you’ve picked best fits what they want to see in their site. This is easier, and honestly, more common. So once you’ve both agreed on, very likely, a template within the Brine family, your client is probably going to want to know which of the many, many templates in that family you’ll use. The way to do this is to just choose based off which template style-wise and/or demo content-wise is closest to what your client wants. This is for two reasons. One, it’ll mean you’ll need to spend less time tweaking the site styles settings when building the site. Two, clients tend to see demo content that’s similar to their business type and assume then therefore that’s obviously the right template, so it’s an easy sell. 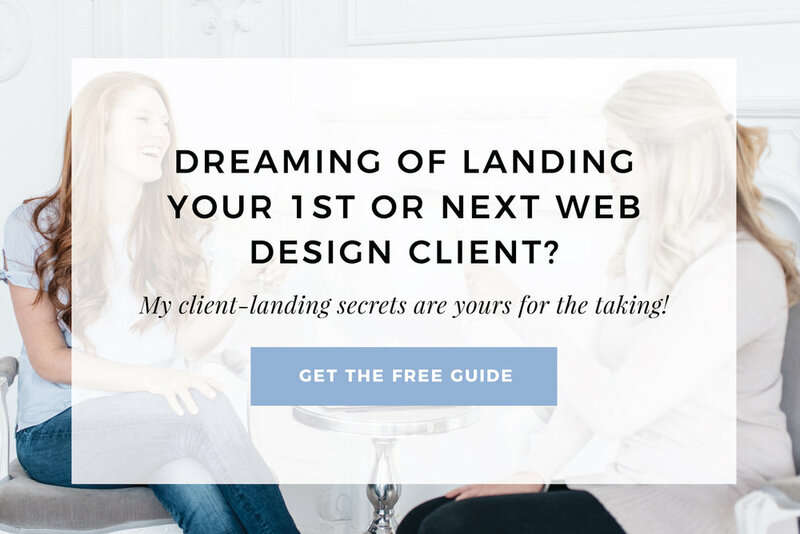 If you need more help with the set-up and strategies of working successfully with clients as a Squarespace designer, you’ll want to check out my Square Secrets Business course! How much can you charge as a new Squarespace website designer? Answered.